In OF FATHERS AND SONS director Talal Derki follows the life of an extended family in the Syrian Civil War over a period of two years. The head of the family is a high-ranking general of the Islamist Al-Nusra brigades who dreams of a caliphate and wants his sons to follow his footsteps. Talal Derki was born in Damascus in 1977 and studied Film Directing in Athens. He worked as an assistant director for feature film productions and was a director for different Arab TV programs between 2009 and 2011. Furthermore, he worked as a cameraman for CNN and Thomson & Reuters. His short films and documentaries received awards at a variety of festivals. 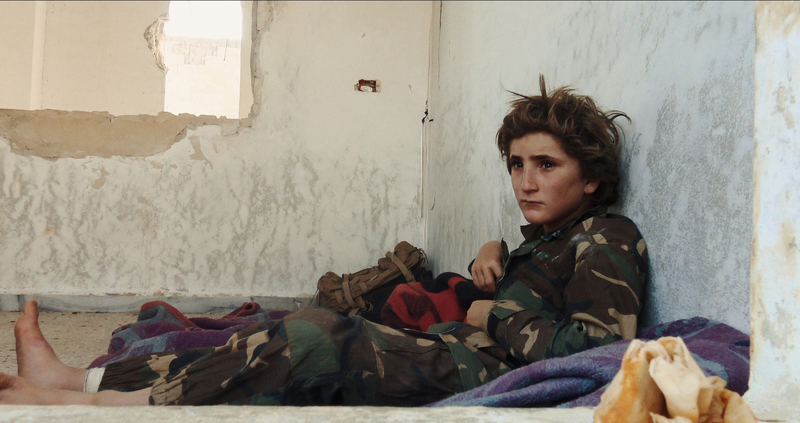 His feature documentary RETURN TO HOMS won the Sundance Film Festival’s World Cinema Grand Jury Prize. In 2014 he was a member of the international Jury at IDFA. Due to the war in his home country Syria, Talal Derki lives in Berlin with his wife and son.